Liam O’Brien is an Assistant Professor in Civil and Environmental Engineering at Carleton University. In addition to teaching courses on Green Building Design and Indoor Environmental Quality, he leads a research group of ten graduate students. His research is focused on building performance and developing innovative controls and visualization methods using Carleton University as a living lab. He is engaged in research with the Azrieli School of Architecture and Urbanism through Carleton Immersive Media Studio (CIMS) and Professor Stephen Fai. Together with numerous graduate students across disciplines, they are constructing comprehensive building information models of Carleton’s 45 buildings. 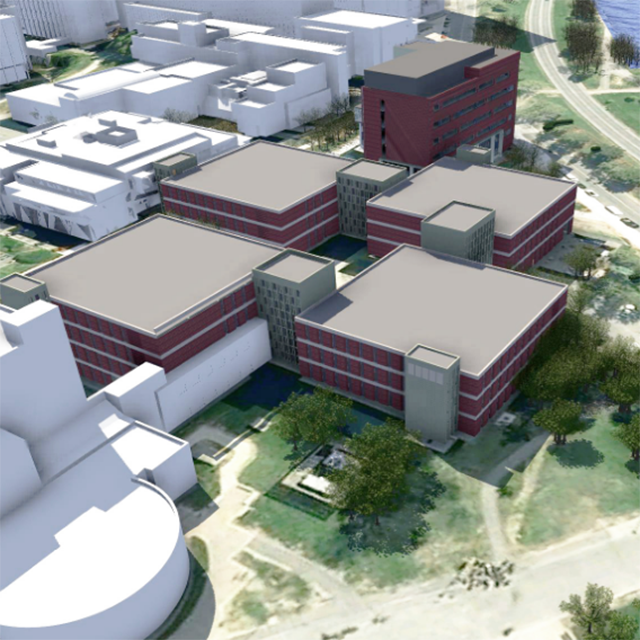 In 2009, CIMS worked on a project with Autodesk Research called “Digital 210 King”. The project involved developing a BIM of their headquarters in Toronto. We started the project using record drawings, but discovered the drawings were grossly inaccurate. Autodesk approached FARO Technologies and they agreed to scan the site. That project was a clear demonstration to us of the value of remote sensing technologies for BIM.